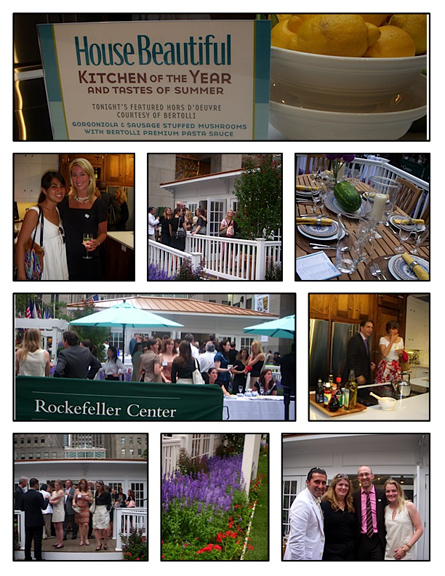 According to the great folks at House Beautiful, “The kitchen is the heart of the home, where we nurture each other literally and figuratively.” Last week, we had the honor of attending the magazine’s opening night party to celebrate its Kitchen of the Year. This amazing space, which was designed by ChristoperPeacockCabinetry, was set up right in the heart of Rockefeller Center and drew attention from designers and consumers alike. Just like all of Christopher Peacock’s designs, this kitchen was “simply beautiful.” Throughout its three day showing, HB called in top chefs from premier restaurants for cooking demonstrations & tastings, held kitchen spotlight sessions with top manufacturers and offered behind the design talks with the man-of-the-hour Christopher Peacock. We got our hands on some of the recipes and cannot wait to cook up some summer tastes in our own kitchens. Here’s to you House Beautiful, and your pick for Kitchen of the Year!